James Williams (known professionally as "Jim the Trim") is a barber from South Wales with an impressive resume (BBA British Barber of the Year for 2017) who is in high demand for his workshops on haircutting and coloring techniques. He's got a lot on his plate between travel, teaching and special appearances, but somehow he found time to use those skills for some solid good. James is somewhat of an autism whisperer when it comes to haircuts. A haircut can be a difficult thing for children on the spectrum. 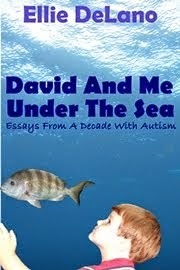 They have to sit very still, cut hair can be very itchy (which is a sensory nightmare), the clippers may buzz too loudly near their ears, the smell of disinfecting solutions and hair care products can be overwhelming - in short, it's like navigating a minefield for a child with autism. 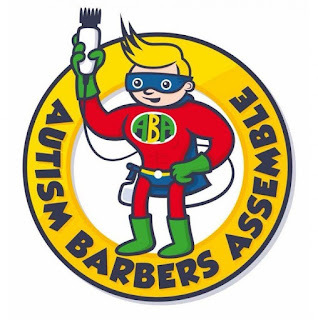 Jim has also founded an association of barbers with special skills and training to foster autism-friendly haircuts in their shops. The group calls themselves Autism Barbers Assemble, and they are a godsend for any parent with a child on the spectrum.The group is UK-based, but they hope to branch out to the US and around the world as they grow.